World-renowned author and psychic James van Praagh has spent years communicating with spirits on the other side, but he is far from alone in this experience. Joined by psychic medium Sunny Dawn Johnston, best-selling author Lisa McCourt, and over twenty others who have had direct contact with the spirit world, When Heaven Touches Earth is proof that you don�t need to be a household name in mediumship to receive love and guidance from the spirit world. This collection of stories will provide inspiration, comfort to those going through tough times as they prove that other worldly guidance, be it from a deceased loved one or from a universal benevolent source, is available to us all. When Heaven Touches Earth offers a unique glimpse into the world of spirit, one where unconditional love can always be found- even in situations and circumstances where it is least expected. 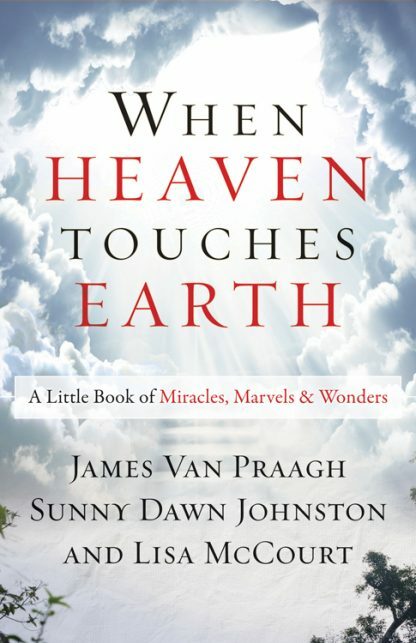 James Van Praagh is the New York Times bestselling author of Unfinished Business, Ghosts Among Us, Talking to Heaven, Reaching to Heaven, Meditations, and Healing Grief, among others. He is considered a pioneer in the mediumship movement throughout the world and has been the voice of the Spirit World for over twenty-five years. Some of his more known clients include various political heads of state, throughout the world, religious leaders and celebrities such as Cher, Shirley Maclaine, Goldie Hawn, Jennifer Love Hewitt, Loretta Lynn and many many more. His messages have brought solace, peace, and spiritual insights to millions, changing their view of both life and death. James has also been a celebrated producer for CBS television network, creating several successful projects including: Living with the Dead, a mini-series based on his life, and a television movie, The Dead Will Tell, and the CBS show Ghost Whisperer. His books have enjoyed international appeal, having been published in over 50 countries and translated in over 60 languages. Lisa McCourt is a bestselling author and ghost blogger specializing in the field of personal transformation. She�s been the ghostwriter for many prominent thought-leaders, from New York Times bestselling authors to Emmy- and Golden Globe-nominated Hollywood stars. Lisa has also penned over 3 dozen books in her own name (including the modern classic, I Love You, Stinky Face) that have together sold over 7 million copies.